Food preservation has been a critical activity throughout the history of civilization, even pre-dating agriculture. The most common means of food preservation have been used since the beginning of history and similar techniques can be found across the globe. issues. 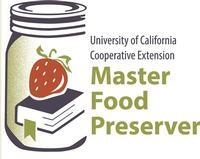 For more than 30 years, UCCE Master Food Preserver volunteers have shared research-based home food preservation information with the public. The first UCCE Master Preserver Program started in 1982 and programs are now thriving in 16 counties across the state of California. such as the San Luis Obispo and Santa Barbara County offices. Canning or preserving questions, want more information about becoming a UC Master Food Preserver, need information about an upcoming class? Contact us! The Master Food Preserver Helpline is available at 805-781-1429. Leave a phone message or send an email to slomfp@ucanr.edu. Ask your preserving questions today!